Often I meet people who want to get started in impact investing and they start by sharing an opportunity with me, then ask me whether or not they should invest in it. It’s fine to leap right in if you’re excited and enthusiastic about investing in a way that helps create a better world. However, you’ll be far more successful if you lay a foundation for yourself first, acquire the tools, techniques, and skills to be a mindful investor, and develop the habits so that you can practice impact investing in your daily life. Impact investing starts with why, to quote Simon Sinek. It starts with understanding yourself, what’s impactful to you and what you think is impactful to others (because impact is personal), and understanding why you want to invest in the first place. Are you investing because you want to build wealth for yourself or is it because you want to build wealth for your own future or the future of others? Are you investing for status – that is, you want to be part of the next big thing – or because you want to stretch your leadership muscles and help other leaders emerge? In my book, Integrated Investing, I talk about how impact investing is about investing as “taking care of the village”. It means how do we ensure that we, our families, our neighbours, our community, our planet, and future generations get access to the essential resources we all need to survive, thrive, and be happy? Investing is best done as part of a community – especially in impact investing, we don’t go it alone. This means finding the people who can support you in your investing endeavours, provide advice or mentorship, or who can co-invest with you. Finding your tribe helps you build relationships – because that is what investing is, it’s a relationship between you and the founder and/or company you’re investing in. Finding your tribe means connecting with other impact investors – through events, conferences, networks, and referrals. If you’ve reflected on what your why is as an impact investor, you’re better able to communicate this to other people and find your tribe. I wrote another post about effective due diligence – in particular for investors investing directly into private ventures. In summary, experiential due diligence goes a long way. Experiential due diligence is meeting people, following companies over time and seeing if they do what they said they were going to do. If not, why not. Experiential due diligence is an opportunity to see how others make decisions – in the face of opportunities or challenges. It is constant and ongoing. Then follows preliminary due diligence – the initial analysis and exploration to get a sense of whether to spend more time on something. That leads to detailed due diligence on opportunities that I feel we have the best chance of finding good fit and reaching agreement to invest. After we complete detailed due diligence, we review legal agreements and negotiate any final terms in the documents. I developed a robust due diligence process that helps me turn over as many stones as possible, whilst being efficient with how I spend my time on due diligence. 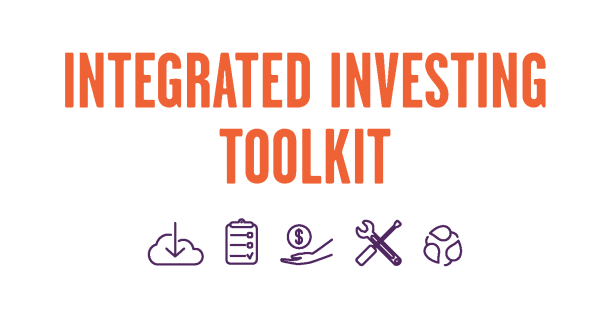 The process integrates traditional evaluation tools with venture development tools and impact evaluation tools that I created myself – I call it the Integrated Investing Toolkit. Impact investing is a decision to invest in a founder and company that strives to take care of the village in some way, that provides some kind of improvement in access to one or more essential resources. To make impact investment decisions we need to integrate information from our analysis, emotions, body, and intuition. By doing this, we become more aware of our biases, our values, and motivations. If we know and feel that something is unsustainable, unethical, or unhealthy, it influences our decisions. People often ask me how body features in investment decisions. Just this week, I’m in the middle of finalizing a decision to invest in an impactful early-stage company. From an impact perspective, people in my community and further afield are excited about it. From a financial and leadership perspective, there are risks, but not ones that I think can’t be overcome. But I’m getting over a virus this week. I’m not eating and sleeping well. Admittedly, I’m a bit grumpier than usual and that’s going to affect my decisions. So I’m mindful not to let the irritability be projected onto the decision I’m making. I re-focus to get myself into mindsets of abundance, curiosity, and relationship so that I can make an investment decision that makes sense, feels good, and is intuitively the right thing to do. We’re all in this together. We all want access to essential resources so that we can sustain ourselves, express ourselves, connect with others, manage change, make decisions, and have a means of exchange for the value we bring to each other. 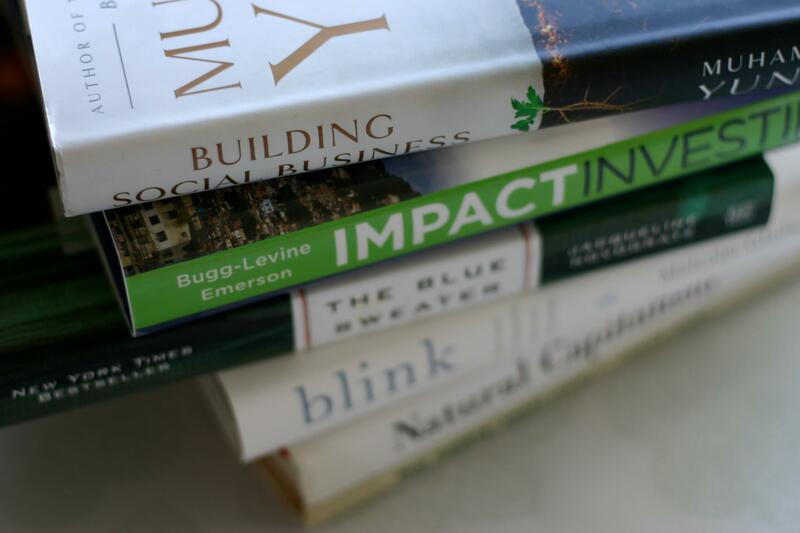 Impact investing is most certainly a growing field and it’s great that this question about how to get into impact investing is frequently asked. I hope one day, impact investing won’t be a separate thing, but rather it will simply be the way we all look at investing. This post was first published on Quora on October 5. 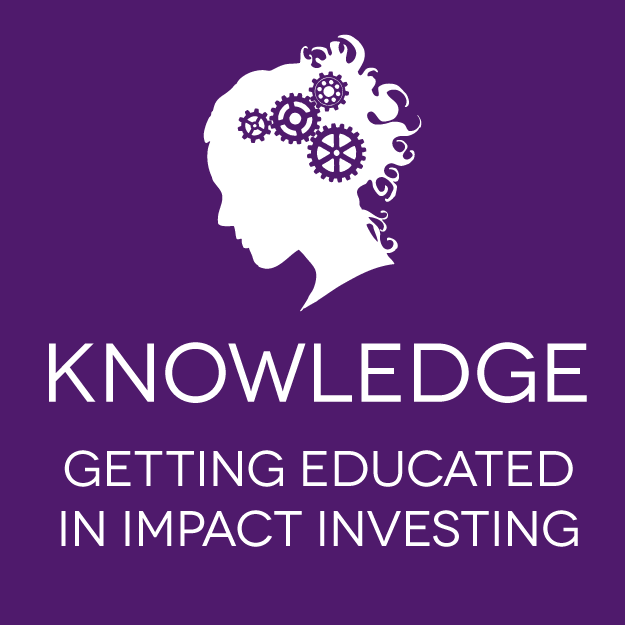 Have a question about impact investing? Leave a question in the comments below. Pique Fund is a tribe of 24 impact investors based in Vancouver, Canada. Find out more about how you too can invest in impactful, BC-based ventures in the company of like-minded others.